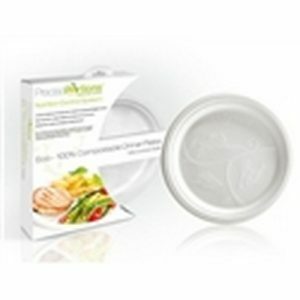 Precise Portions makes it easy for you to eat well and achieve your health and dietary goals with the help of this beautiful Portion Control dish and the educational information. 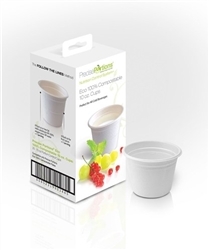 The LIFE-style Portion Control Dish manufactured by Precise Portions is made from Porcelain China renowned for its brilliant whiteness, translucency and strength. Also, this plate has stylish graphics baked into it. Protein like meats, seafood, beans, and meat substitute like tofu. Starchy vegetables and Grains for less complex carbohydrates like whole wheat, brown rice, etc. This design of the dish plus the Quick Start Guide to Healthy Eating and the Menu Planning Placemat help to reinforce your discipline and achieve your dietary objectives and goals. 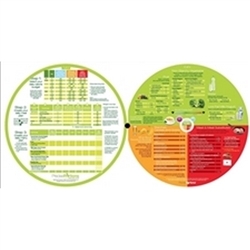 The printed advice in the educational pieces are based on guidelines prescribed by American Dietetic Association & American Diabetics Association and has long been accepted by professionals in the nutrition field. 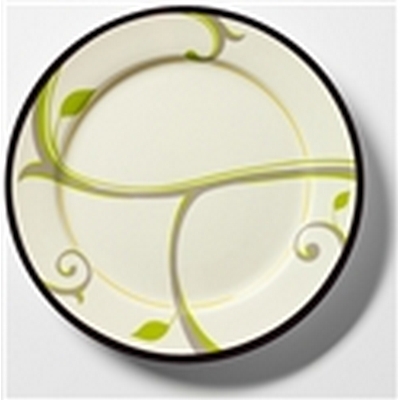 In addition to the printed dietary advice, the LIFE-style dish has beautiful graphics that makes the plate visually attractive. 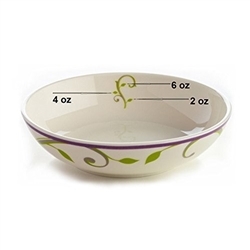 10″ Rim plate is called “LIFE-style” Dishes because they can be used during family get-togethers or parties without making it obvious to anyone that you are following any sort of health guidelines. The familiar and beautifully laid out graphics unconsciously reminds you of your health goals without making it obvious to others who might be dining with you.